When it comes to automotive experts, they don’t come more accomplished than journalist and commentator Giles Chapman. Over the past several decades, he has appeared frequently on TV, authored roughly 40 published books, and won numerous car-related media awards. So lovers of the iconic Mini couldn’t ask for a better person to tell the tale of their favorite car. Released in coordination with the 60th anniversary of the Mini, Mini: 60 Years takes readers from the release of the original two-door BMC Mini in 1959 to the Countryman, Clubman, and other modern Mini iterations by BMW. 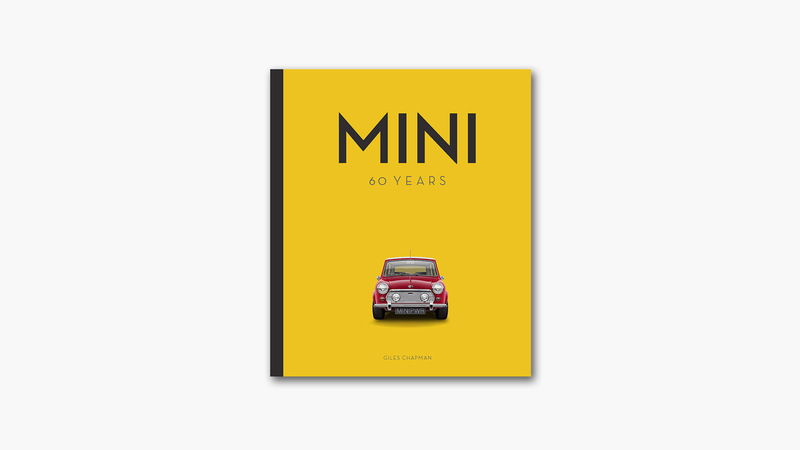 Charting the international evolution of the Mini over the course of 176 pages, this hardcover book features ample beautiful photographs and illustrative diagrams. Special attention is paid to important details such as the Mini’s innovative “bigger on the inside” front-wheel-drive layout and the fact that the Mini won four consecutive Monte Carlo Rally events from 1964 to 1967. Make some of the acclaimed bar’s most popular and adventurous drinks at home. A collection of the absolute best Marvel Comics artworks from Alex Ross’s three-decade career.